Does My Child Have Separation Anxiety? During the first two years of life, separation anxiety can be a normal part of a child’s development, as they are forming secure attachments and learning about their routine and environment. During this stage children begin to learn that even though mom or dad are out of sight, they will return. This stage often ends around the age of two, and is considered a normal part of childhood development. However, after the age of two, it can become a more significant issue for families, and children. Parents of children with separation anxiety often notice and report severe distress, constant and extreme worrying, difficulties in school and other activities, and frequent physical complaints. Separation anxiety can occur at any age, but often separation anxiety will appear in pre-school and elementary school aged children. However, new situations, negative experiences, or significant changes, such as a move or new school, can bring forward the symptoms of separation anxiety which can cause the child significant distress when separating from the parent. Repeated physical complaints- “butterflies” or stomachaches, sweating, fast heartbeat, dizziness, etc. balanced self-talk, as well as develop a perception of personal strength and increased independence. They will also learn to recognize specific reactions when they are feeling anxious and will be taught ways to manage and reduce these reactions. With children under the age of seven, play therapy is also used to help children overcome separation anxiety. Younger children often have difficulties verbalizing their thoughts, so play can be a wonderful age-appropriate means for communication and skill development. During play therapy for separation anxiety, the therapist uses a variety of toys, games, art materials, and sand tray therapy, to help the child process their emotions, highlight personal strengths, and develop increased independence. This method of counseling can help the therapist to validate the child’s feelings, as well as help the child begin to develop age-appropriate coping skills and communication techniques. They then help the child create alternative ways of dealing with these feelings. 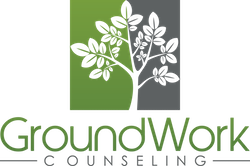 At GroundWork Counseling in Orlando, our child therapist often works with children struggling with separation anxiety. Our counselors are here to help support your family, and help your child overcome their separation anxiety from a strength based and solution-focused perspective.